Delivery of land management changes which will have a positive impact on the River Derwent SSSI. This will include a reduction in the sediment and phosphorus loading into Derwent Water and Bassenthwaite Lake through implementing practices to reduce soil erosion and improve farmyard manure management. An increase in the area of priority habitat, namely riparian woodland along the River Derwent SSSI. This will be achieved through working as a group to carry out complimentary management along the rivers length. This will also have benefits for priority species such as Atlantic salmon through increasing shade and buffering from diffuse pollution. Borrowdale is famous for its ancient, natural woodland. The group will investigate ways in which the woodland can be used to implement natural flood management measures such as woody debris dams and where woodland can be planted to increase biodiversity and reduce habitat fragmentation. An increase in the area of land being managed as floodplain grazing meadows. This will have benefits for natural flood management and biodiversity. 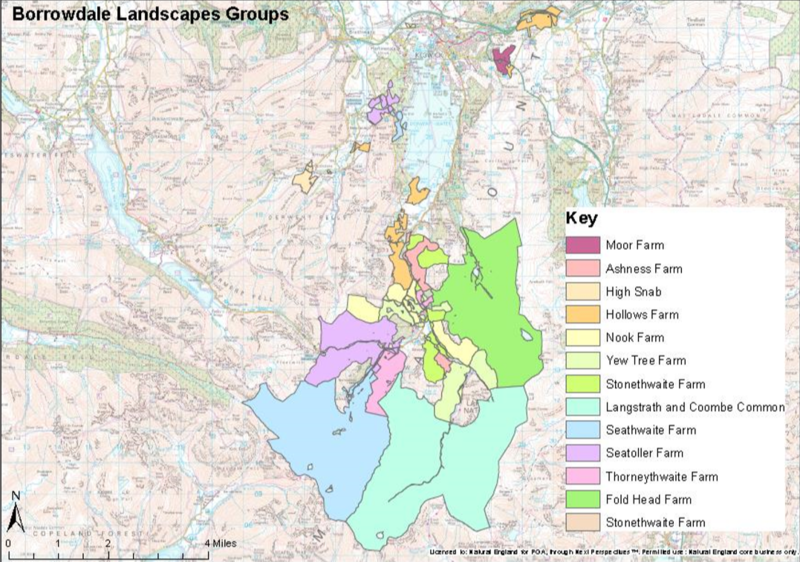 We hope to achieve multiple environmental benefits by facilitating cooperation at a landscape scale which extends from the shores of Derwent Water to the blanket bogs it the uplands. Working as a group will enable us to think about land management at a much larger scale to deliver joined up, complimentary projects.